Warsaw: Six people, including two children, were killed when a two-storey apartment building collapsed in western Poland on Saturday, possibly due to a gas explosion, officials said. 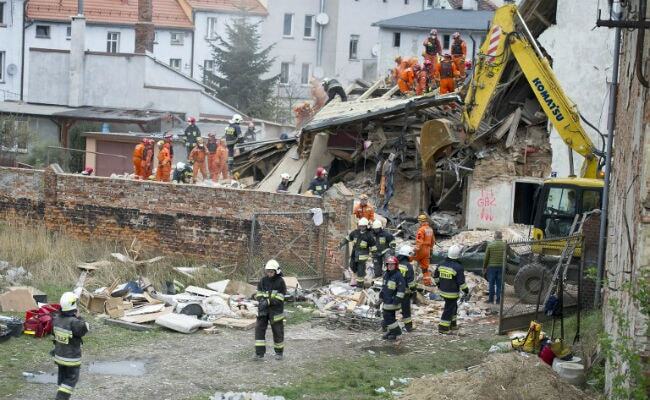 Four others were injured and rescued from the rubble, in the town of Swiebodzice, before being rushed to hospital. "There are strong indications that no one else is stuck under the rubble," Interior Minister Mariusz Blaszczak told reporters. A gas explosion may have caused the two-storey building to collapse, according to Daniel Mucha, a spokesman for the regional Lower Silesia firefighters.